FIRE: Financial Independence / Retire Early. Putting it all together, a how-to guide to developing your spreadsheet. Mastering Passive Income / quitting the day job, has two major components; income and expenses. Each are discussed separately below. While we can debate all day long which is the most important, I actually think understanding your expenses has to come first. Defining and agreeing with your spouse / family on the lifestyle you want to have going forward, the sacrifices you may want to make or not, or the increased spending you desire to have, will make it much easier to determine the income you will need; and indeed whether or not you can even think about quitting the day job. Worrying about income first could simply lead to the all too familiar, “more is better, and then, let’s spend AT LEAST that much” style of living. If the Passive Income is coming from rentals, most don’t realize just how variable the rental income stream is and so can get into BIG trouble in a soft market. On the other end of the scale, I have run into a lot of people (especially RE investors) who don’t realize they have it made and are still in the “frugal” mode. There needs to be a happy balance between spending what you can afford and spending too much. The first thing is to look at your spending in terms of “must” and “wants”… normally called, “discretionary spending”. Musts include housing expenses like P+I, taxes, insurance, utilities, cable /internet, interior and exterior maintenance and repairs, HOA fees. Other must expenses are income taxes, food, clothing, medical, transportation, and, I hope, charity, etc. What is especially important about most “must” expenses is that they will be subject to inflation over time; one notable exception will be the mortgage on your home, assuming you have a fixed rate mortgage. Note that in a pinch, even “must” expenses can be reduced somewhat. Discretionary spending is highly individual; in fact you and your spouse probably will not agree and will have to negotiate what your discretionary spending looks like now and will look like going forward. Remember you will have lots of time to fill. What kind of lifestyle are each of you thinking about? Simple example, for my wife, two gym memberships are a must, a dependable car, all kinds of cosmetics, many many Zulily? shipments every month, etc. Her main discretionary items are just a couple of weeks of travel per year, spoiling the grandkids, and lots of going out to eat. For me, I need at least two sports cars, and my goal is one trip of some sort every month. I carefully track how many nights per year we / I do not sleep at home. I have a lengthy bucket list divided into sections like cars, domestic travel, international travel, manly man things, etc. The literature has some suggestions regarding your spending after you quit your day job. One of the most popular is that you will need about 80% of your “working” income. This is based on the typical situation in which certain expenses disappear post the day job. You will no longer be paying 6.2 % of the first approximately $133,000 (2019) of your income into the SS program, and 1.45% of your total income into the Medicare plan. Note if you are self- employed you may in fact also be paying the employer’s share so these numbers could be double. Certain work related expenses will disappear like commuting, maybe some clothing, lunches, etc. And you will have to carefully figure out what medical expenses will run. When you turn 65 medical expenses could / should drop due to Medicare. You now have about 50 hours a week available per working person that you no longer had. Filling this time can eat up money. You now have the time to travel, join a country club, take up an expensive hobby (ies), on and on. In general, maybe your retirement vision calls for an increase in your lifestyle. Second home? Boat? RV? Again, filling up all that time can cost money. More recent work on post day job living suggests that for many spending could go up to about 120% of the spending in their previous lives, at least initially (see “go go” discussion below). Inflation must be dealt with carefully. The financial planning industry now recommends planning to live to 95. For a “normal” retirement at age 65 this means 30 years of covering inflated expenses. The long term average of inflation is generally taken as 3%. Using the 3% figure an expense of “100” will be an expense of about 245 in 30 years. But it is your actual “personal inflation” that counts, not the long term average of the entire basket of goods and services used to calculate the overall inflation of the economy. Simple example: if you have a fixed rate mortgage that disappears in say 18 years, then you will have “0” inflation on that part of your spending for 18 years and then a big reduction in expenses. Real estate protects you from inflation in many ways. For example, with a mortgaged property, one actually gets a very favorable leverage such that an increase in rents results in an income increase of over double the percent rent increase, even if all your real estate operating expenses go up. Mortgages become paid off and this results in a nice jump in income, and finally, the property should increase in value at least as much as the general inflation rate of 3%. The inflation and loan pay down result in a big bucket of cash when you think in terms of equity not your initial investment. Recent thinking on normal retirement (age 65) divides it into three phases: the “go go,” “slow go”, and “no go.” (Wow, all those “go go“ dancers from the 70’s are now “no go” dancers?) While highly dependent on the individual, the go go phase is maybe 65-75; slow go 75-80, and no go after 80. Of course, if you attain FIRE and “retire” at say 50, your go go phase is likely to be 20 -25 years. This thinking is critical as “age” takes away much discretionary spending. Yes, there are still 80 year olds who go to the gym, travel, play golf, etc., but 50% of 65 year olds don’t even make it to 85, and there are a bunch of other 80 year olds who would like to be active but unfortunately can’t. What is significant about this ageing in terms of spending is that recent studies show that retirees making over $100,000 / year typically have a lot of discretionary spending and they actually experience DIS inflation as they age. As noted, if your personal inflation is going to be significantly less than 3%, even 0, (maybe negative?) because of disappearing mortgage payments, rent inflation, and discretionary spending going away, that is a whole new ball game that completely invalidates the general rule of a 4- 5 % withdrawal rate from your savings accounts so that you don’t run out of money in 30 years. We will discuss the 4-5% rule at length in the Mastering Passive Income course; see “William T. Bengen” discussion in the income section below. You can plan your expenses (and income) carefully and of course things can happen to upset the plan. One of these is commonly referred to as “the squeeze.” You have at least one generation before you (parents) and maybe two after you (kids and grandkids) that may throw a wrench into the works. What if either of these generations suddenly needs financial help or demands your time? There are also brothers and sisters and other family members. This is confusing at best; your expenses could easily vary from say 80% of what they were when you worked, to 120%. What lifestyle do you and your spouse want? Expenses going forward will vary with your starting point; how much discretionary spending do you have that will disappear with time? When do your mortgages drop off? Will you downsize? Expenses will also vary with what phase you are in; go go, slow go, no go, and for how long. The “phase shift” can vary with how well you take care of yourself, genetics, etc. Then there is the “wild card” factor, how do you think about that? We will discuss all of this in your one on one sessions. Traditionally, post day job, there are three sources of income; maybe a pension or annuity of some sort, your savings (mostly TDA’s; tax deferred accounts like IRAs, 401K), and Social Security. For real estate investors, rental property is a major enhancement to these three sources. One paid for “ten cap” $150,000 property generates about the same income as a typical SS check that takes 35 years of working and your contributions to earn. The SS can help out your spouse but not the next generation while the rentals are multi- generational. For this reason, I developed the “Passive Income House” concept with the four corner columns representing the three traditional sources of income plus the real estate component. Social Security can be taken anywhere from 62 to 70 years of age (no point in taking it later); the longer you wait the more you collect but of course for a shorter (unknown) period of time. The variation in payout with starting age is designed so that no matter when you start to take it, the amount of money collected at about age 81/2 is almost identical. So this is the “break even”, if you live past 81 you will still be collecting checks, the more those checks are, the more you collect in total. Starting later gives you a bigger check, so you collect more if you started later and live past 81 / 2. Conversely, if you pass before 81 you will have collected more if you started earlier, in spite of the reduction in benefits. Remember you can collect up to 8 years before the person who waited until 70 to get the highest benefit; takes a while for them to catch up to you. Last important point is that the survivor (last to die) gets the higher of the two Social Security benefits. So, “tell me when you and your spouse will pass and I will tell you when each of you should take SS; LOL.” For these reasons, I suggest you focus on what kind of overall financial health you are in as the determinant factor. If you are in good shape and SS after 81 is just the icing on the cake, then consider taking it early when both of you are in the go go phase and can enjoy the (reduced) income together. Also, the 81 break even does not factor in the value of taking SS and reducing the withdrawals from any IRA/401K which then benefits from additional years of growing tax deferred. The above two streams of income, Social Security and a pension, are very solid and thus the ideal position to be in is one in which these two dependable streams of income pay for all your must expenses. The next two income streams we will discuss, rental income and withdrawals from you IRA’s /401 K’s (tax deferred accounts) are subject to market variation and your skill as a landlord or investor. When these two income streams are needed only for “discretionary” expenses, they can become a “playcheck;” two playchecks actually. That is a really great position to be in; takes all of the pressure off rental issues like vacancies and repairs, and stock issues like dips, pullbacks, and bear markets. I was not in that enviable position as I took a cash settlement on my “pension” and retired 7 years before I could draw Social Security. So I had to really figure out how to live off the two variable streams of IRA withdrawals and rental income. I learned a lot; still learning, and I will share all that with you. So, the next step is to add these two dependable streams of income, SS and a pension or annuity, together and then subtract just your must expenses to see what position you are in. Do you need the variable and “tricky” streams from your rentals and stock portfolio to cover must expenses, or can you take care of these must expenses just from pensions and Social Security checks? Tax deferred accounts come in two major types; traditional IRA’s and Roth varieties. At this point in time, withdrawal time, there is a major difference in that the Roth money is tax free whereas the IRA money is taxed as ordinary income. Note, however, that you paid taxes on the Roth upfront; Roths are not tax free by any means. With either, what should your asset allocation be? Should you self-manage with index funds or pay an AUM (assets under management) fee to someone? The financial planning industry heavily subscribes to some work done back in 1994 by William T. Bengen that concluded that because of the variability of the stock market, one should only withdraw 4 – 5 % of the balance in the first year of retirement (remember, generally taken as 65) as opposed to a higher number, even though the market averages ten to eleven per cent per year. That 4-5 % dollar amount can be adjusted upwards by about 3% per year to keep the purchasing power the same (inflation), and the money has at least a 90% chance of lasting for 30 years. With all due respect to the planning industry and Mr Bengen, I have a real problem with the low 4.5 % or so withdrawal rate. I talk about 8 or 9 reasons why in the course, but I will only mention a couple here. First, if one does not inflate the withdrawal by 3%, the money will last forever; even 2% is fine. Second, historical calculations have shown that, while it is not impossible, no one would have actually run out of money with the 4- 5% withdrawal rate inflated at 3 % in the history of the stock market. Retiring in the late 1960’s comes the closest, not because of stock market performance but because of the rampant inflation of the 1970’s. Third, just rebalancing your portfolio once a year eliminates the “running out of money risk”; I will give out a great article / study on this. Fourth, remember both your rental income and your Social Security are inflated, so even if your withdrawals lose purchasing power, which they won’t as noted if you have a good income and / or a lot of discretionary items, you will most likely be fine. Fifth, the IRA withdrawal was calculated taking your rental income into account, but not the “bucket of money” power from appreciation and the mortgage pay off from your rentals. The post tax Roth balance can provide the same spending power with a lower withdrawal because no taxes are due on the withdrawals. Problem is your Roth will have a lower balance for a given saving rate as the taxes were paid up front so it had less money to grow; this will be detailed in the course. My suggestion is to withdraw from a Roth if you think you are in a relatively high tax bracket year, and from a traditional IRA if you think you are in a relatively low tax bracket year. Vice versa for funding; fund the Roth in a low marginal tax year and the traditional in a high marginal tax year. Or, simply fund some of each type. Most of us are “turnover avoiders.” For good reason as a turnover often means one or more lost month’s rent, and some reconditioning money. Then there is also the risk of the new tenant, in spite of your careful screening. For that reason, we are reluctant to raise rents as we should be, because it could cause a turnover. Fortunately, when we have a mortgage, the simple math of having a fixed P+I payment gives us leverage, such that a rent increase of x% typically will result in an income increase of about 2 times the x%, even with operating expenses increasing by the same percentage as the rental increase. If you have a significant amount of rental income, that doubling of your rental income from a rent increase can make a heck of a difference in your rental income projected out over 10, 15, or even 20 years. Note when the property is free and clear, the leverage is gone and one will get the same percentage increase in income as the rent increase, assuming operating expenses are going up as well. So the process now consists of subtracting any must expenses that were not handled by your SS and pensions and all of your targeted discretionary spending, from the remaining two income streams of IRA withdrawals and rental income. I suggest you subtract from a conservative net rental income first and then see what kind of percent withdrawal you need from your savings to pay all the rest of your expenses. The withdrawal should be less than whatever guideline we decided to use, which of course is highly dependent on the age you are quitting your day job. In that case, you have attained FIRE. If there is a lot left over for your desired discretionary expenses, congratulations, maybe even go back and add a few more discretionary expenses. If all four income streams are short of paying all your must and discretionary expenses, you will have to rethink your income streams (work longer, buy more property, etc. ), get a part time job, or rethink your spending. Here is where your rentals get really interesting. The above counts only your monthly rental income, but your rentals have much more to offer. Treat each rental as a bucket of money based on the equity you have in it, not your initial investment. We will discuss “WAC” (walk away cash) and “TAAR” (total anticipated annual return) in class. 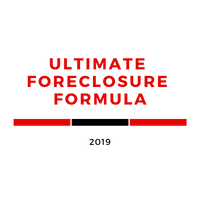 To get this bucket of money, you can refi one or more rentals, sell one or more, maybe even take out a HELOC on one (not currently available), and use the cash to pay down one or more mortgages, effectively increasing your income. Actually, it decreases your expenses so the tax effect is much less. Or, you can just spend the bucket of money over your go go phase to enhance your retirement, or use it to delay starting your SS withdrawals. I call this whole area “financial engineering” and we discuss it at length in the course. Exit strategies: the advantage of “hold until you fold” is that the property is stepped up to fair market value at your passing or 6 months later, thus avoiding both depreciation recapture and capital gains for your heirs. That requires you to be a landlord until you are 96, LOL. So we will talk about other exit strategies including keeping and hiring a property manager, selling the most PITA (pain in the axx) properties, selling with owner financing, 1031 exchanging into “simpler” properties, etc. If you want to stay in the RE game, you can switch to private money lending, buying tax liens, discounted mortgages, do wholesaling, an occasional flip, become a broker, or volunteer at GaREIA. If you are bored, you of course can find a suitable part time job. I have developed a spreadsheet which tries to allow for many of these items; I don’t see any other way of planning a 20 ,30, or even 40 year “retirement” (no day job) without carefully thinking about each of these items; many of which are summarized below. I suggest we both work to develop your spreadsheet, a lot of which can be done via email. The more effort you put into it, the more I will too. EXPENSES: must expenses versus mutually agreed on discretionary expenses, how will we fill our time; when does my mortgage disappear, should we downsize, what kind of medical insurance do I have/need, what tax bracket are we in / going to be in, what about the parents, kids, even grandkids? Do I / we have adequate inflation protection? INCOME: four pillars; two are more dependable and hands off: Social Security and pensions. Two are more variable and less passive: withdrawals from savings, including IRA’s, 401K’s, and after tax; and rental income. What kind of overall financial shape are we in after age 81 (when do we take SS? ), how does my pension work, what withdrawal rate is safe for us, how can I optimize the income from my rentals (financial engineering)… when do the mortgages drop off; should I domino them? Should I exit RE; how and when? BOTTOM LINE IS THAT THE OPTIONS FOR PASSIVE INCOME ARE ALMOST UNLIMITED AND VERY INDIVIDUAL. WHAT WORKS FOR ONE PERSON MAY NOT BE APPEALING TO A SECOND, OR MAY NOT EVEN BE AN OPTION. THEREFORE, I LOOK FORWARD TO WORKING WITH YOU AND YOUR SPOUSE “ONE ON ONE” AND TRYING TO SORT OUT YOUR REAL ESTATE, PENSION, STOCK PORTFOLIO, BUDGET, TIME AND GOALS FOR THE POST DAY JOB TIME. How much can I make? That is a common question I get when people come to the Academy to learn about Residential Assisted Living. There are 2 directions that you can go. 1- Own the Real Estate and rent it to an operator 2- Own the Real Estate AND operate the Residential Assisted Living business as well. If you own the home and lease it to an operator, you can get up to twice the fair market rent. As a real estate investor, that’s going to change your positive cash flow from a few hundred dollars to potentially a few thousand dollars a month. Significantly better. In addition, your tenant will want a longer lease: 3, 5, or even 10 years. They will not want to lose their lease. Typically they will also be a lower impact tenant that will take care of the property better than the average tenant. They are generating income and they will want the home to be kept up and well maintained to generate that income. You may be asking, why would someone be willing to pay you up to twice the fair market rent for your home? Simply put, they will be making a huge profit so it works for them. Location is the key. If you have the right location and the home is the “right” home for operating this business, then it is a win-win situation. Many people can’t or choose not to buy the location they operate their business in. Not everyone is a savvy real estate investor like you. Zoning is one of the first considerations. Many people are surprised when they discover that this can be done in a residential neighborhood, even with an HOA. Knowing the best locations and then knowing the terms and the questions to ask are critical. Without that knowledge you will most likely make costly mistakes and get a simple response of “you can’t do that” from the town or city that your property is in. Knowledge is power. The amount of rent you charge will depend on many factors including: what improvements you are willing to do, what you are willing to allow the tenant to do, length of the lease, rent concessions, etc. How much profit can the operator of the home make? The national average for a private room in an assisted living facility is $3,750 per month per person. If your home is licensed for 10 residents, that is $37,500 in potential gross income. If the expenses and the debt service total $27,500, which is conservatively high, you are still netting $10,000 a month in profit. If you focus on a “nicer” home you can charge higher than average rent. The expenses are virtually the same with just the potential increase in the debt service. If your debt service increases by $3,000 a month and you can generate an additional $10,000 to $20,000 a month, that’s pretty simple math. Most investors will work their entire lives to build their business, a portfolio of assets and retirement accounts in the hopes of “being set” in their retirement years. Unfortunately, many of them will live to see most or all of their estate being stripped away paying for their final few years of life as they are being taken care of in an assisted living facility. That is sad and avoidable too. There is a solution to that problem. The solution is to own your own Residential Assisted Living home. When it’s time you can live for free. Simply doing that allows you to pass on your hard-earned estate or it allows you to spend it now anyway you want to. THE ULTIMATE ASSET PROTECTION “What is your most valuable asset?” I would answer that by saying, my life and my health. That doesn’t seem to have a lot to do with “asset protection” at 1st blush, but it does. Ben Franklin is credited with saying “there are only two things that are certain in life, death and taxes”. I will let others counsel you on taxes but I would agree those are both certain as is aging itself. What happens between now and “death” is what I will address here. According to AARP, 70% of all of us will need help with our “Activities of Daily Living” for an average of 3.5 years. What does that look like? How much “help?” and who will provide that help? Who will pay for that help? Those are the questions most people will not even ask themselves let alone answer. The average private room in assisted living is $3,750 per person PER MONTH. That is the “average” price for an “average” home. Most of us will be spending much more then that because we would not want to live in an “average” assisted living facility. Our care will be more like $4,000 or $5,000 or even $6,000 or more per month. That could be for years and years and can drain an estate a lot faster than it took to assemble it. After just a few years that will total hundreds of thousands of dollars and it could all be saved. One of the keys to protecting yourself and your assets is to have the proper insurance in advance of needing it. We all know the typical insurance products like: Health insurance, Disability insurance, Life insurance and they all have their purpose. Some of these we will likely all use at some point in our lives like health insurance. Others, we will never personally enjoy like life insurance, which is designed to benefit those that are left behind after you pass away. The most over looked insurance or the least likely to be purchased is “Long Term Care Insurance”. Most people assume it’s either “too expensive” or they choose to ignore the fact that they are getting older and will more than likely need assistance as they age. As families get smaller and spread out across the country, they are not as close geographically and they are busy and unable to take care of their aging parents like they could years ago. There is a solution. The ultimate asset protection strategy could very well be to own your own care home. When it’s time for you or a loved one to get the care that you need, you can move into the master bedroom and live like a king or a queen for free. Thereby preserving your estate and solving the problem that so many people simply ignore. In addition, you could be making hundreds of thousands of dollars in cash flow and profits as the owner of that home. The solution is simple and you cannot ignore the fact that we all will be getting involved in assisted living one way or the other. The question is how will you be involved? And right now, that choice is yours. To learn more about owning, operating or investing in senior housing and assisted living, join us at the GaREIA General Meeting on Monday April 8. Visit www.GaREIA.com for more info. For more about the RAL Academy, visit www.RALAcademy.com. BONUS REPORT: Where do you find great deals on Apartments? I get this question a lot, especially, during or just after a presentation showing an apartment complex illustrating a ‘cash on cash’ return in excess of 20%. If you went to a Commercial Broker and told them you were looking for properties with a 20% COCR, they’d do one of two things; 1-They’d tell you they would buy the property themselves if they ever found one with a 20% COCR or 2-They’d hang up on you because they’d think your expectations are unrealistic. You probably won’t find an Apartment complex advertised with a 20% COCR. Just like the broker said, if it fell into their lap, they’d buy it. However, you can increase your chances of finding some great deals by doing a few things differently. First off, there’s no big secret in ‘finding’ Apartment complexes for sale. Start by using the same vehicles most investors use. For instance, you can search through Loopnet.com or go to any of the major or regional Commercial Brokerage web sites such as Marcus & Millichap (MarcusMillichap.com), CB Richard Ellis (CBRE.com) or Sperry Van Ness (SVN.com) just to name a few. There are many many more out there. You can also peruse local newspapers in the market you’re interested in. Remember that not all papers are created equal. Some newspapers will advertise commercial properties in the business section, not the classifieds. Another paper no one thinks about is the Wall Street Journal. They have both national and local properties advertised for sale. Another way to find Apartments for sale is to ask Property Managers or Commercial Financiers that work in the area you’re looking to purchase in. Often times, they know owners who are looking for another property and have to sell their first one to move on or they know someone who’s just ready to retire. These are just a few of the sources I use. More are given in my workshops and boot camps. The key to getting great Apartment deals may start with the information above, but it ends with the information below. Like I stated already, there’s no big secret in finding Apartment complexes for sale. The key is to find a great deal and here’s how I do it. The first thing I decide upon is a market in which I want to purchase. I may determine the market based on economic factors such as job growth or an expanding economy in that area. I may decide upon the market just because it’s a place I’d like to visit on a regular basis. The next step is to interview at least 3-4 good commercial brokers in that market and create a long-lasting, mutually beneficial relationship with at least one or two of them. Here’s what I do and how I use my research. Preferably, I want to find a commercial broker that has a CCIM designation. CCIM stands for Certified Commercial Investment Member. Most CCIM’s will list this designation in their internet and newspaper ads. CCIM’s have gone thru extensive training on commercial property, plus, they must have a proven track record of closed deals or consultations showing extensive commercial knowledge and they must pass a comprehensive examination. I consider a CCIM equivalent to a PHD. By the way, you can also find CCIM’s at www.CCIM.com too. It’s estimated that only 6% of the roughly 125,000 commercial brokers out there have a CCIM designation. Once I find 5-6 brokers in a given market, with or without the CCIM designation, I call them to introduce myself. I ask them about the market conditions, recent sales in the area and their own experience as a commercial broker. It’s amazing how much information you can get when you ask the right questions. You also get a pretty good feel for the person about whether or not you see yourself having a long-term relationship with them. Once I have a good feel for 3-4 of the agents I’ve spoken with, I give them the criteria I’m searching for in a complex. My criteria will include number of units, unit mix, minimum Cap Rate, price range, the quality of the complex (A, B or C) and area of the city. I may even mention that I’m looking for the owner to do some or all of the financing. I follow-up my phone conversations by emailing or faxing my contact information and criteria to the brokers. Then, I phone or email the brokers every 1-2 weeks to stay in contact with them. Since the brokers know exactly what I’m looking for it makes it easier for them to find something that fits my criteria. The ones that bring me deals I take care of. Obviously, they get their commission, but it’s the extra little things I do that I believe makes a difference such as sending them a restaurant gift card to take their spouse or significant other out for a night on the town at my expense or maybe tickets to a local sporting event or bottle of wine. That way, I am always in the front of their mind anytime a good deal comes across their desk. You’ve probably heard the term ‘Pocket Listing’. Well, I want to be a ‘Pocket Client’. When the broker gets a new listing, I want to be one of the few clients they call first, sometimes before they even release the details to other brokers in their own office. And that’s the key to finding great deals. If you think about it, everyone out there has access to the same sources for deals, but it’s the people who have nurtured and cultivated their relationship with the broker that reaps the bumper crop! They will even tend to go to bat for you with the seller if you’re looking to do something other than just put down a traditional 20%-25%. They will be in your corner helping you explain to the seller why it would be better financially for them to carry-back some or the entire purchase price then to just sell the property outright and make you bring in new financing. Even in the commercial world, it’s about relationships. Once you have those relationships established you have a much greater chance at turning an average deal into a great deal. A 10% COC return into a 20% COC return. That relationship just helped you double your cash flow. How much is that worth to you? Anthony Chara is managing member of Apartment Mentors and founder of Success Classes. He has owned or managed several successful multi-million dollar companies during the last 20+ years. Anthony owns properties in Arizona, Colorado, Florida, Georgia, Iowa, Kansas, Nevada, Ohio, Oklahoma, Pennsylvania and Texas. 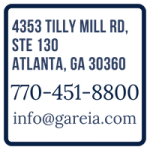 Anthony is the Keynote Speaker at the Georgia Real Estate Investors Association (GaREIA) General Meeting on March 11, 2019. He also is teaching a 1-Day Workshop on March 30, and a 4-Day Boot Camp June 6-9, 2019. Visit GaREIA.com for more details!